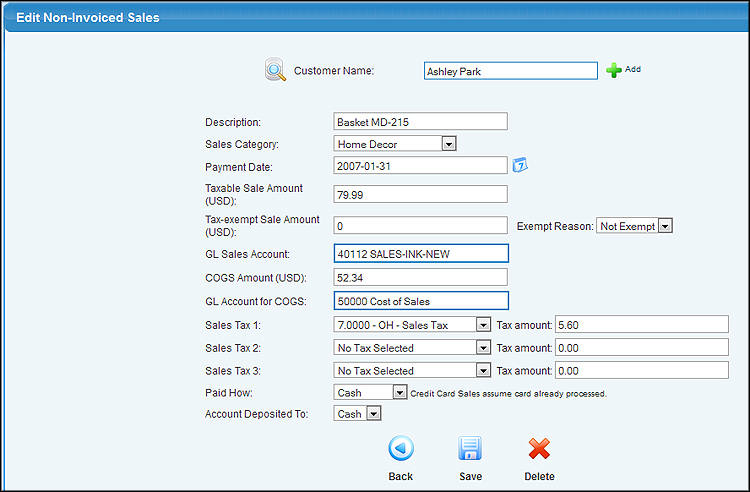 Enter or update sales receipts for which no invoice is entered. If you are on a cash system, use this module to enter all of your receipts. Once activated, access it by going to Billing -> Invoices -> New or Edit Non-Invoiced Sales.